One of the big challenges for surfers is maintaining surf fitness through flat spells and spells away from the ocean. 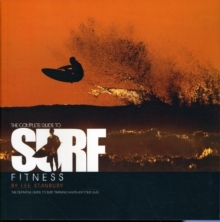 This book will help surfers maintain their surfing fitness so they are stronger, fitter and have more explosive power. Even for those surfers who live close to the ocean and get to surf nearly every day, a dedicated fitness regime can help to improve their surfing, increase their surftime and prevent injury. The aim of this book is to help surfers surf longer, surf stronger, and catch more waves. What surfer wouldn't want that? For the first time, "The Complete Guide To Surfing Fitness" brings together all the latest knowledge and techniques to offer a complete training programme for beginners to pros. 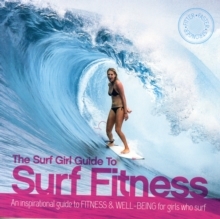 Illustrated with over 150 annotated photos and inspiring surf images, the guide covers everything from stretching and flexibility exercises to core strength, resistance training and plyometrics. Also covered is the use of exercise equipment such as Swiss balls, Indo boards, and Bosu balls as well as a swimming programme and tips for young surfers. Plus there's no need to join a gym as all the exercises can be done at home.